Singapore Airlines’ regional wing Silkair will offer daily nonstop flights to Cairns from June 2019. 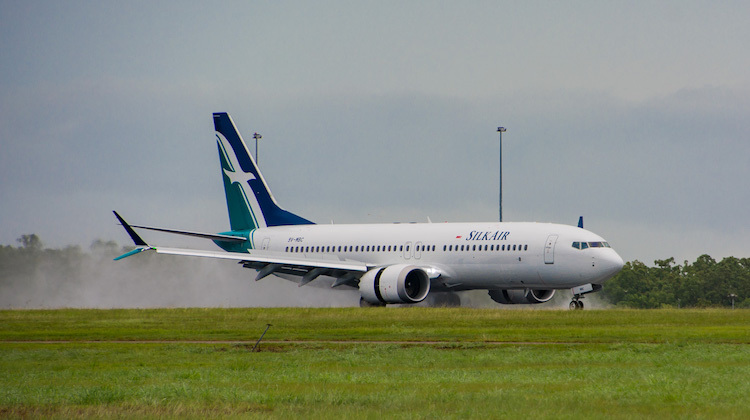 Currently, Silkair flies five times a week between Singapore and Cairns with Boeing 737 equipment. Two more services a week will be added to the schedule from June 2 2019, Silkair said on Friday. 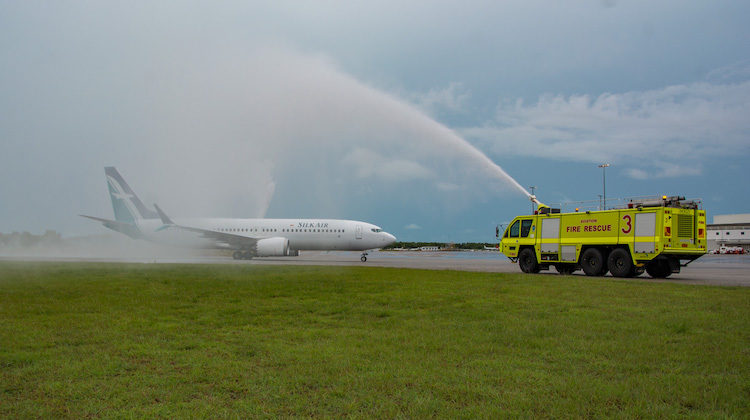 “We are proud to announce a daily service to Cairns, providing greater accessibility and connectivity for our customers,” Silkair chief executive Foo Chai Woo said in a statement. The airline will operate the route with a split schedule comprising an overnight flight from Singapore and morning departure from Cairns on three days a week. On the other four days of the week, the flight will depart Singapore in the morning and return from Cairns in the early evening. The split schedule would offer timely connections to the Silkair and Singapore Airlines Asian network, as well as to destinations in Europe on Singapore Airlines. Silkair started flying to Cairns in May 2015, initially as part of a triangular Singapore-Darwin-Cairns-Singapore routing. Cairns and Darwin were de-linked in 2016, with Silkair offering nonstop flights to both Top End cities. In January 2018, Silkair became Australia’s first Boeing 737 MAX operator when it deployed the next generation narrowbody on the Cairns and Darwin route. The airline, which is transitioning away from the Airbus A320 to Boeing 737 equipment, has configured its 737 MAX 8 with 12 business and 144 economy seats for a total of 156. The aircraft features a refreshed business class cabin with a seat pitch of 49 inches (up from 39 inches on the 737-800) and USB and plug-in charging ports. Meanwhile, economy seats have a seat-back tablet or mobile phone holder, as well as USB charging ports, to allow passengers to more comfortably view the in-flight entertainment available to be streamed to personal electronic devices. Silkair’s Cairns and Darwin services, like Singapore Airlines’ flights to Adelaide, Brisbane, Canberra, Melbourne, Perth and Sydney, are supported by the alliance with Virgin Australia, which places its VA airline code on all Singapore Airlines and Silkair flights out of Australia, as well as throughout the pair’s Asian and European network. Figures from the Australian government’s Bureau of Infrastructure, Transport and Regional Economics showed Silkair carried 58,917 passengers on its Singapore-Cairns services in the 12 months to June 30 2018, up 34 per cent from 44,018 in the prior year. It is the only airline offering nonstop flights between Singapore and Cairns. Cairns Airport chief commercial officer for aviation Paul Mclean said the move to a daily service would “open a wider range of options for international visitors to conveniently access Cairns and the Great Barrier Reef”. “The daily service will also provide locals with even more choice to fly international direct from Cairns, as opposed to travelling south from Cairns to fly north,” McLean said in a statement. In May, Singapore Airlines announced plans to bring Silkair under the main SIA brand and spend $100 million upgrading the regional carrier’s cabins to offer closer product and service consistency for passengers. As part of the change, the Silkair fleet will be reconfigured to include lie-flat seats in business class, as well as seat-back inflight entertainment systems in both business and economy. The cabin upgrades were due to begin in 2020. Singapore Airlines chief executive Goh Choon Phong said at the fiscal 2019 first half results briefing on November 14 the company had finalised a selection of products, including the lie-flat seat for the Silkair fleet. “We have also completed the commercial merger, the integration of the commercial units between SilkAir and SIA, so we will continue to provide progressive updates on this particular initiative,” Goh said. Silkair has an important role in the SIA group’s network, given its narrowbody aircraft are able to serve secondary cities in the AsiaPacific within six and a half hours flight time from Singapore more economically and with an appropriate level of capacity than Singapore Airlines’ all-widebody fleet. And many SilkAir destinations are markets where it is difficult to generate high loads on a year-round basis but are important to maintain because of their role in the overall SilkAir/Singapore Airlines network, particularly as passengers are often connecting onto Singapore Airlines’ long-haul routes. The announcement Silkair would be folded into Singapore Airlines’ operations appeared to be the logical conclusion following efforts on having a closer integration between the two carriers in recent times, including selling connecting itineraries, coordinating on joint pricing and optimising flight schedules for maximum network connectivity. Indeed, Silkair, Singapore Airlines and the SIA-owned low-cost carrier Scoot have been transferring routes between each other to ensure the right product was on the right route based on market conditions. The three airlines have also begun selling tickets involving connections of each other’s flights. The Silkair brand has been in operation since 1992. However, the airline began in 1989 as Tradewinds The Airline. VIDEO: A look back at Silkair’s first flight to Cairns in May 2015 from the Cairns Airport YouTube channel.